For the second year in a row, we’re proud to be the provider of the custom ordering app for attendees at AmerisourceBergen’s ThoughtSpot 2015, taking place July 29 – August 1. 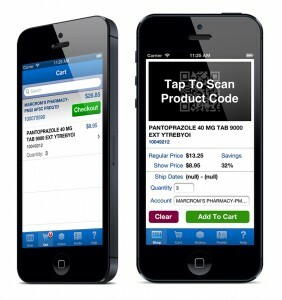 AmerisourceBergen had tasked us with creating a multi-device application that 500+ users could use concurrently to place orders directly at their booth. The challenges? The app needed to handle simultaneous POs, multiple scanning systems, and user authentication. The success of this app was paramount – any misstep would result in thousands of dollars in lost sales. The results? Simply stunning. After logging in to access customer records, sales reps could scan the boxes of products with a QR code reader to add items to their carts. Carts were easily manipulated, and sales reps could place multiple orders at once. By utilizing technology that people are already familiar with, Excellis delivered an intuitive application that required little to no training and provided a better user experience. But I’m sure what you really want to know is – how did it do? With 700+ attendees expected for this year’s tradeshow, AmerisourceBergen anticipates even better sales numbers next week, all thanks to Excellis Interactive’s simple mobile solution. Results like these speak for themselves. When you focus on your users’ needs, you come ahead every time. This is just another example of why simple wins. What can we simplify for you?